PayPal's overzealous fraud filters have frustrated customers for years, with an inscrutable verification process that leaves some battling for months to get access to their money. The eBay (EBAY)-owned payments processor, like other financial companies, has policies in place to ensure that fraudsters aren't using its system to transfer ill-gotten gains. But PayPal also traps legitimate businesses and charities in its filters, and proving you're no scam involves a ton of paperwork and time. PayPal says it's finally ready to deal with the problem. It's promising to roll out a massive overhaul of its system within the next several months -- but details are scant for now. "These are not minor -- these are aggressive changes," said Anuj Nayar, PayPal's senior director of communications. "This is a fundamental shift in our business operations." Nayar said he can't go into specifics about what will change, but transparency is a major focus. 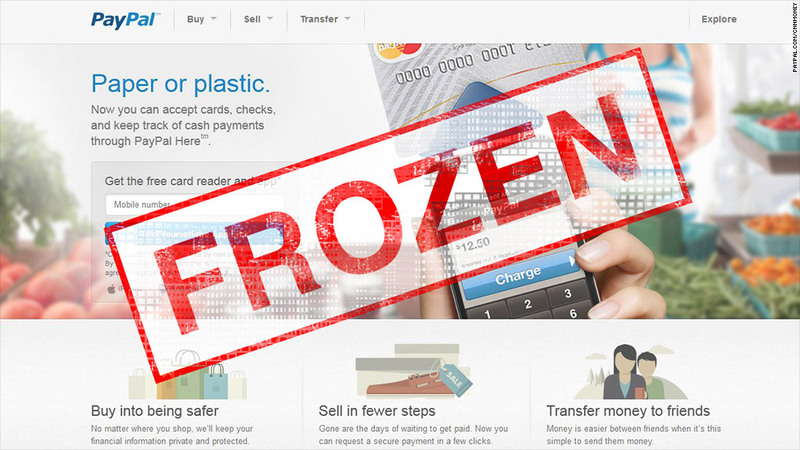 "We want to be clear about how people can get out of the [frozen funds] situation," he said. "We need to get better about helping people, or explaining why actions are being taken." The company routinely freezes funds for 21 days if it thinks there's a fraud risk, and its terms give it the right to extend the freeze for up to 180 days. To get access to their money, users are often asked asked to provide the kind of documentation that a product seller would have, like several months' worth of sales records. But if you're running a fundraiser or selling tickets to an upcoming conference, you don't have that paperwork. Even for those with extensive paper trails, the appeals process can take months to resolve. The Web is filled with enraged blog posts, websites like paypalsucks.com, and a Tumblr called "Conferences Burned by PayPal." Nayar first discussed PayPal's plan for "big changes" in a TechCrunch article posted last week, after science fiction author Jay Lake found his account frozen. Lake, who is battling advanced colon cancer, is raising money for an experimental genome-sequencing process. Thanks to his own fame and the aid of friends like Neil Gaiman, Lake's fundraising effort went viral. Just five hours after launching his campaign, he had $20,000 in contributions. At about 4 p.m. Pacific time the next day -- January 11, a Friday -- Lake tried to transfer the funds into a bank account. Instead, he received an alert that his PayPal account was frozen. "They wanted me to provide receipts, shipping information, business paperwork," Lake told CNNMoney. "That obviously didn't apply to me, but there was no way to bypass the process. I called, and they said appeals take 24 to 72 hours to get going. I asked, 'How I do prove I'm not conducting transactions?'" After Lake fired off a sarcastic tweet at PayPal, his fans and famous friends lobbied for help. His account was restored by 6 p.m., and PayPal tossed in a corporate donation to Lake's fund. "If it weren't for my small bit of fame, if I were the guy down the street, this could have taken months," Lake said. That's what happened to Brook Drumm, an entrepreneur who sells 3-D printers. After running a successful Kickstarter campaign, he launched an online store to sell his Printrbot machines. More than $100,000 rolled in. "PayPal freaked out and froze our funds," Drumm said. "They needed references and bank statements and tax records. This went on for months. And even with all that paperwork, they still ended up holding $50,000. We finally got the money, but it was an untold amount of stress and sleepless nights." Nayar, the PayPal rep, said the company can't comment on specific cases. "We've made a commitment to be clearer with consumers on how they can get out of these situations," he said. For example, the issue that Jay Lake faced -- being asked to mail in receipts and other paperwork that doesn't apply to fundraisers? "We're fixing a lot of that," Nayar said. "At a minimum, the fact that someone needs to mail in something to an online payments company is a problem. 2013 is going to be the year that we fix a lot of those pain points." Ironically, Lake understands better than most what PayPal is up against. As a sideline to his writing, Lake consults with financial institutions about their communications systems -- for example, the automated calls you receive when your credit card may be compromised. He's familiar with the fraud protection process, and he thinks PayPal's has plenty of room for improvement. "There's a guilty until proven innocent bias to it, and that needs to change," he said. PayPal can't afford to be complacent much longer. The field that it once monopolized is now full of competition: WePay, Square, Stripe and smartphone-based systems like Google Wallet are only a few of the up-and-coming rivals. "We are committed to getting back to being the center of our customers' financial lives," PayPal's Nayar pledged. "Big changes are coming."